Ubuntu is a free and open-source operating system and Linux distribution based on Debian. Ubuntu is offered in three official editions: Ubuntu Desktop, Ubuntu Server and Ubuntu Core each having their own specific performances. There are new releases of Ubuntu every 6 months while the long-term support (LTS) releases occur once every two years. Ubuntu is produced by Canonical and the community in a meritocratic governance model. 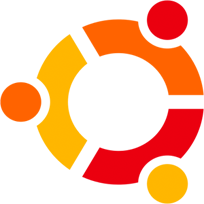 Canonical provides free guaranteed security updates and support for each Ubuntu release, starting from the release date and until the release reaches its predesignated end-of-life (EOL) date. It’s a new LTS (Long Term Support) release with 5 years of support for both desktop and server versions. Named as “Bionic Beaver” represents the Ubuntu users who are energetic, industrious, and awesome engineers. The “Bionic” adjective is due to the increased number of robots that run on the Ubuntu Core. Some major features include a faster boot speed, xorg will be default instead of wayland, new default background and include Linux kernel 4.15. Ubuntu 14.04 was released in 2014 and its end-of-life is in April 2019. Few features of Ubuntu 14.04 are as follows. Ability to choose between global menus and local menus, ability to reduce the icon size up to 16px, Having a very own unique lockscreen and many more.